NASCAR has one of the longest seasons in professional sports, with competitive races held about 75 percent of weekends each year. The season begins in mid-February at Daytona and runs until mid-November at Homestead-Miami. The drivers are used to it, but that sure is a lot of left turns. Such a long season means that NASCAR’s offseason is relatively short, about three months. The time during the bleak months of winter when the rest of us are hibernating, chattering our teeth in the cold and typically grumbling about no NASCAR on TV, is when the teams go into overdrive behind the scenes. They’re traveling less, but working just as hard. If staffing changes are going to happen on a team, it’s usually during the offseason. Just like any other sport, the composition of teams can be a constantly-moving puzzle from season to season. From pit crew to crew chiefs and more, teams always seek the perfect balance of players that will steer ﻿﻿them toward a championship. 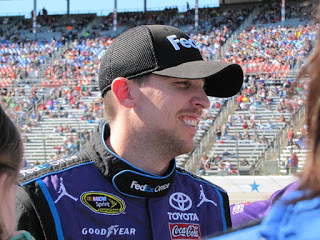 The offseason is also the time when a driver will make an announced move between teams, such as Carl Edwards did when he went from Roush Fenway to Joe Gibbs Racing in 2015. Clint Bowyer has already made public that he'll take the wheel of the No. 14 Chevrolet at Stewart Haas Racing in 2017, as 2016 will be Tony Stewart's last year in the Sprint Cup Series. The frenetic pace of the racing season means that scheduling extensive medical care and necessary surgeries are a challenge for many teams, who often opt to do them during the offseason. 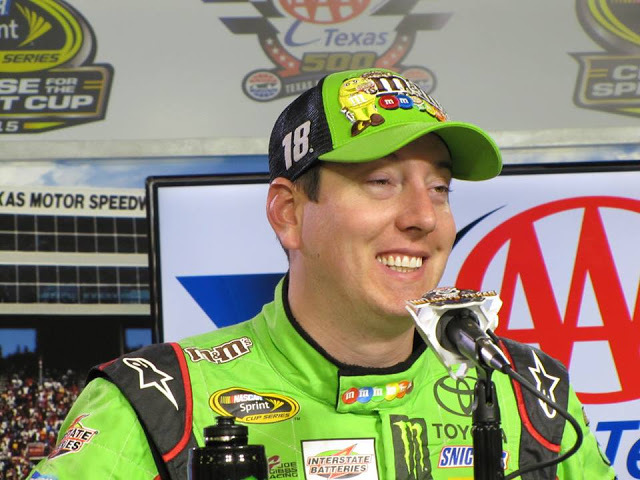 Denny Hamlin has already had surgery on his right knee since the season ended and 2015 Sprint Cup champion Kyle Busch will need another surgery, which is scheduled for December 17. Busch took home the coveted series title at Homestead Miami this year even after a crash in Daytona that broke both his leg and foot. Bill Heisel examines a patient. According to Bill Heisel, director of the OrthoCarolina Motorsports program which oversees care for a number of NASCAR teams, having surgery during the offseason also allows the most time for recovery before the next season begins. More than 50 surgeries for the teams with which Heisel works with have been scheduled or already performed on pit crew, officials, and other team support personnel since the checkered flag flew at Homestead in November. · Doing normal things like drinking coffee. Landon Cassill has apparently already spilled his. · Taking selfies. You’re a pretty good photographer, Kyle Larson. · Playing chauffeur. To other drivers. That was very nice of you, Jamie McMurray. · Trying out extreme sports. Don’t you need a hat in that cold, Austin Dillon? · Being a fan and checking out other sporting events, like Ryan Newman. · Indulging… or overindulging. Hey now, Jimmie. · Getting married. Dale Jr.'s fans are holding their breath. · Just taking some time with the family, ala Casey Mears. As for the rest of us? We’re all susceptible to NASCAR Offseason Disorder (NOD), so just grin and bear it, and watch where you steer that shopping cart. No worries, though, they’ll be back on track in no time.